Milton Adams is stressed. Itʼs no picnic being 11 years old in a world that is growing more uncertain every day. Miltonʼs mom and dad argue every night as their careers and financial security unravels around them. Miltonʼs whole community feels in crisis, and to top it off, he is tormented by the neighborhood bully. With a little practice Milton learns his Grandpaʼs secret for coping with a world in crisis: most things have a surprising way of working out when you flow with the power of Now. In an age that seems to be growing more chaotic by the day, we sometimes wish we could go back to simpler times. We need new answers. 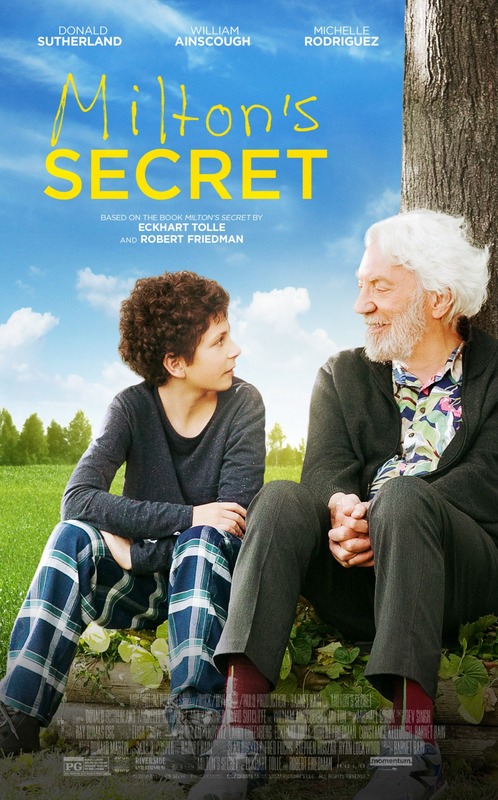 Miltonʼs Secret is a thought provoking family film based on the story by acclaimed spiritual teacher Eckhart Tolle, author of worldwide bestsellers The Power of Now and A New Earth.